Wey hey, I had to put up a third post today as my shell card won the beach theme challenge at Creative Inspirations Challenge Blog. 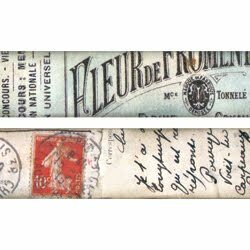 I am so pleased to be rewarded in this way, and I get to choose $10 worth of goodies from Simon Says Stamp - so I have chosen the Tim Holtz 'Nostalgic' Tissue Tape. I shall love playing with it when it arrives. Thanks to everyone at Creative Inspirations and Natalie for emailing me all the info. now THAT'S a super win!!! wow! hi brenda. saw your blog addy over at any stamp and thought i'd drop in. love your previous post. image is fabulous and i love the sparkle!